Developed in the 70s, coatings instantly seduced architects for their numerous performances. 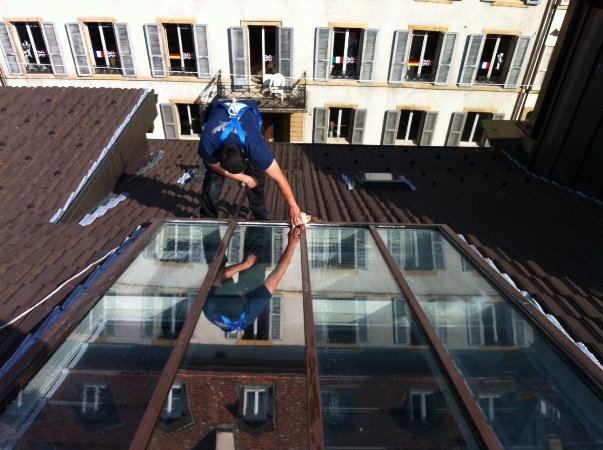 They meet several needs of protection against solar heat, dazzlement, discoloration due to UV rays, glass fragments, etc. Coatings offer a real, affordable and very effective protection which lasts several years without having to change your windows. Coming from the USA thanks to cutting-edge technology, laminated coatings consist of two polyesters and a vaporization of aluminum in its center. The film vaporized is so thin that one can see through it, yet thick enough for it to reject 50 to 80% sunlight. 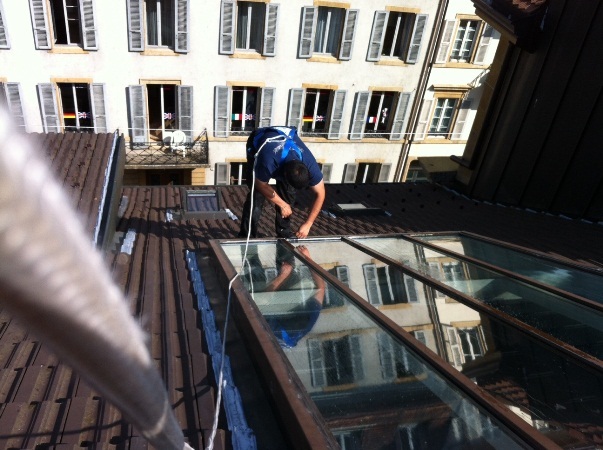 We have a solution for every situation and our specialists will be glad to present every one of them. 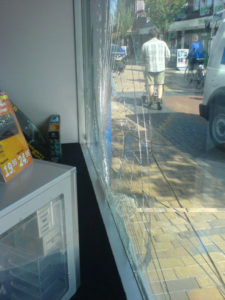 The first threat for windows is vandalism. They are seldom protected, thus providing burglars with a direct access to the interior. 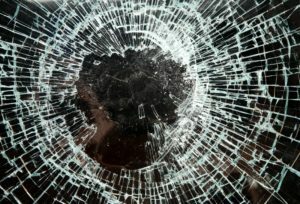 Even in case of an accidental break, glass fragments can become sharp and deadly weapons. Our multilayer anti-breaking coatings are specially designed to withhold glass fragments on the door or window frame. Protect your windows from burglary and vandalism. Do as the banks and jewelers do, multiply up to 18 times the resistance of your glazing. 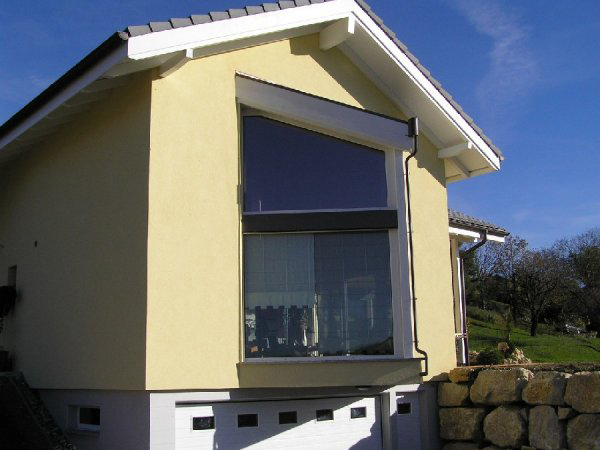 This transparent coating, colorless or tinted in silver, has an acrylic adhesive face which, once applied on the surface of your ordinary glazing, becomes one with it and transforms it into a high strength safety material. The coating brings a very effective anti-breaking protection. At work or at home, in public and industrial places, vandalism and terror acts can turn in just a few seconds a nice window into thousands of pieces, causing fatal injuries and unparalleled damages. 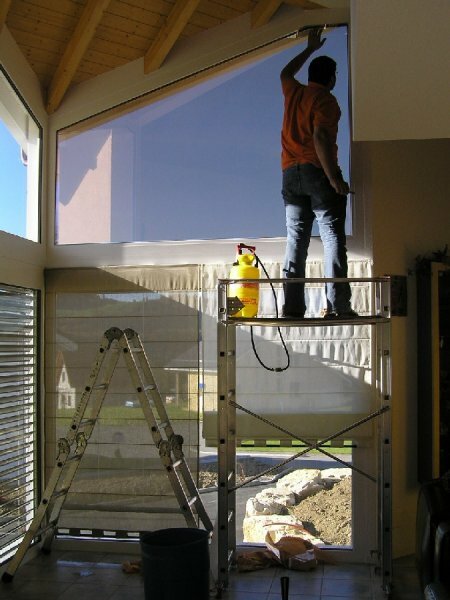 WindowSystem proposes to apply its polyester coating with care on every surface made of glass, thus offering a 24/7 protection, which moreover does not require any maintenance and lasts for years ! In case of fire, standard glazing breaks in 90 seconds under the effect of heat, which provokes a vortex with the wind and enables fire to spread ! 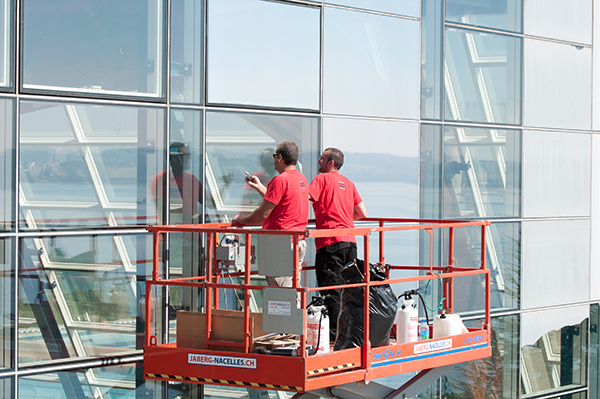 With WindowSystem, coatings, your glazing can hold up to 25 minutes to a heat of about 900° C (1652° Fahreneit). When you are hot in the back of the room, you should not shiver looking by the window !... Otherwise get ready for the heating bill ! By treating your glazing, WindowSystem can help you save up to 30% of the heat that usually goes out through the window. Blinds and curtains protect you from the light but they absorb the heat that they transmit then inside the rooms ! Remove the heat by putting a stop to the greenhouse effect!... 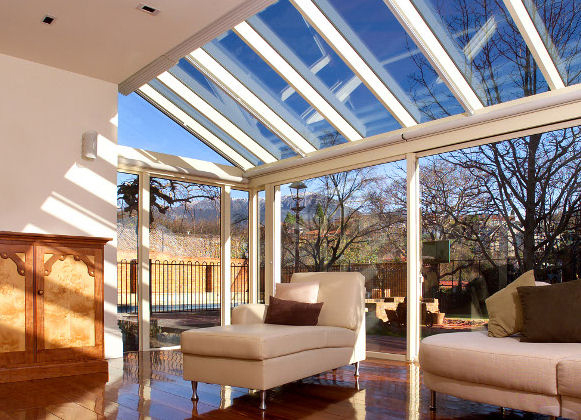 This is possible almost without losing luminosity by making your windows reflective, thus allowing them to reject up to 80% of the radiant heat. Your facilities will be fresher and protect you in case of dazzling sunlight. If metal coatings protect you from the sun during several months, they also isolate you from the cold in the winter by greatly reducing the heat lost through the windows. As a result, investing in coatings turns out to be even more profitable since it helps save up on the heating in winter and on the air conditioning in summer. Your neighbors look inside your house, your industrial activities arouse the curiosity of your competitors, in a word: you want to hide yourself from prying eyes and preserve your intimacy. By treating your windows against nosy neighbors, you will be able to see without being seen. Thanks to its double reflection, our coating completely protects you from the scrutiny of people outside the building or the house while still allowing you to see through your windows. 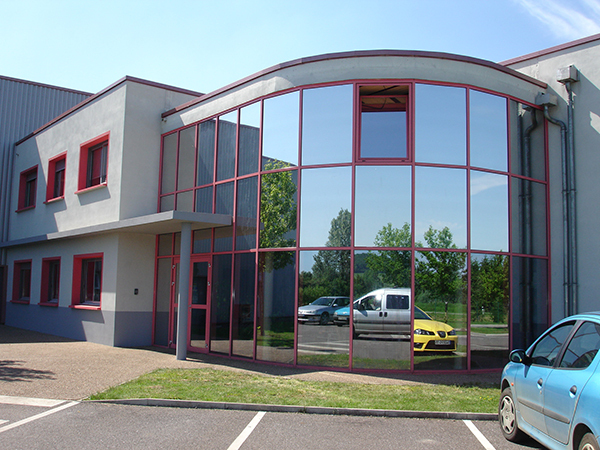 WindowSystem mat coatings give a frosted appearance and completely or partially cover offices, storage units, laboratories or any other places: hospital, schools, commercial premises or private homes. Our coatings are also available in a metallic version for an effective protection against solar heat and for a uniform luminosity. In this case, the spoilage of colors is due to UV rays. By treating your windows, we can protect you against 99% of UV rays. Furniture, curtains, carpets, clothes…, can be protected once and for all by a colorless treatment at your home or in an industrial facility as well as in a store. 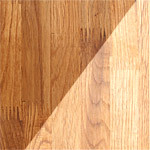 On this image (see on the right), you can see the effect of UV rays on a floorboard. Once your floor is discolored, it becomes very difficult if not impossible to restore its original appearance. 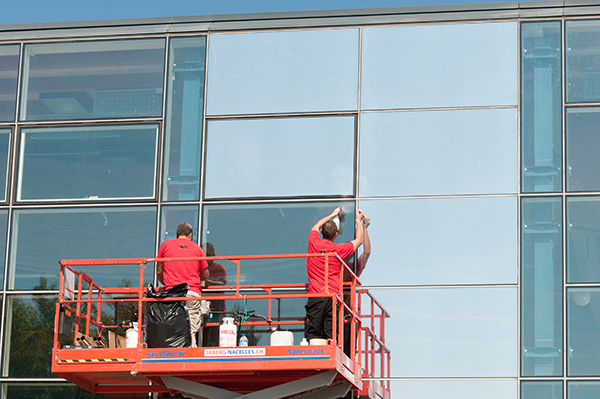 With WindowSystem coatings, you can prevent your belongings from being spoiled by UV rays.